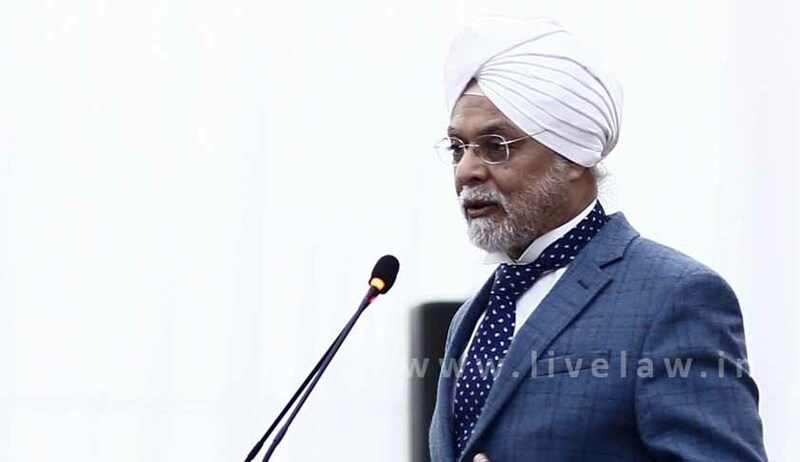 Chief Justice of India (CJI) JS Khehar on Wednesday said gender sensitisation must start at home and society’s mindset towards women needs to be changed to bring gender equality. Speaking at a function organised by the Supreme Court Gender Sensitisation and Internal Complaints Committee (GSICC) on International Women’s Day, Justice Khehar said crime against women is on the rise not only due to psychological reasons, but also due to physiological issues. Several factors, including the living condition of people, are responsible for men to commit heinous crime against women. He said there is a great need of societal change to improve their living conditions, besides stricter and stringent law to control such type of crimes. “Man spends money as the way he chooses, but for wife, it is different,” he said, questioning how could we sensitise society when the birth of a son is celebrated in the family, but birth of a daughter is not. “Even when husband and wife go for shopping, the man spends money as he chooses, but the wife spends what the husband allows her. Even the children learn whatever they seen at home,” he said. He also expressed concern about the growing incidents of crime against women. The CJI said most of the cases are coming from the poor strata of society, as they do not even bother about the punishment and consequence of the crime. In addition, he said the living condition of people was one of the factors responsible for people to commit such crime. “Why is it worse? They live on the land which is not theirs, they live on stolen water and electricity and there is no privacy also,” he said. The society must address the issue. Stricter law and stringent punishment is not the answer but the society should provide them better facilities for improvement of their lifestyle, he said citing the example of labourers who lead their life on pavements and commit crime to fulfill their sexual urge without getting bothered about law and consequences. The second senior-most judge of the Supreme Court, Justice Dipak Misra, cited the judgment in Nitish Katara murder case and said a girl’s freedom cannot be curtailed in the name of family honour. “The girl’s individual choice is her self-respect. Creating a dent in it is destroying her honour,” he said. “Freedom, independence, constitutional identity, individual thought of a women be a wife or sister or daughter or mother cannot be allowed to be curtailed definitely by physical force in the name of self assumed honour….which is medieval obsessive assumption,” he said. “Anybody who curtails the choice and identity of a lady, I would like to call him medieval. For me, he belongs to medievalism,” Justice Misra said. He also cited the views of great poet Rabindranath Tagore and also Swami Vivekananda towards women and also the rich Indian culture respecting the women in our society. Justice R. Banumati, GSICC chairperson, said all women lawyers must be courageous and hardworking and set a role model for others.